Car overheating can come from a variety of sources. With engine combustion temperatures reaching 2000° F and higher, there is a lot of heat to deal with. If your engine is running hotter than normal, either shortly after starting or over time, or if you find coolant (commonly referred to as antifreeze) puddled beneath your car, it’s probably time to stop by your neighborhood Midas for an inspection. Count on "MV Transmission and Auto Repair" to help keep your car’s cooling system operating safely and efficiently and avoid preventable repair expenses. 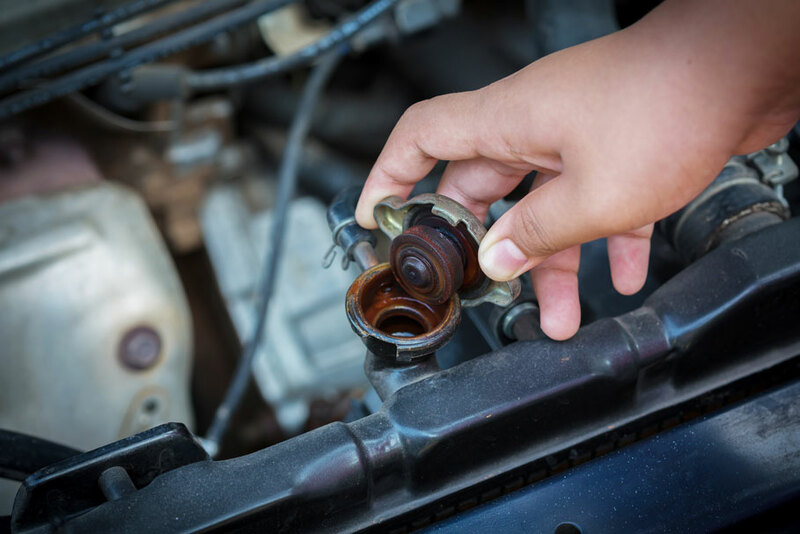 We recommend having coolant replacement performed according to your car’s factory-recommended maintenance schedule. This regular maintenance of your vehicle’s radiator and cooling system can help avoid car overheating and costly repair services. And it’ll help keep you off the side of the road. Stop by "MV Transmission and Auto Repair" with any questions or to determine when your vehicle needs this critical service.